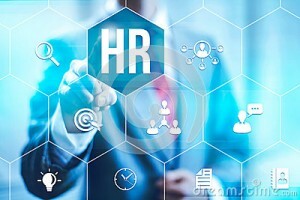 There’s no question that both the biggest burden and opportunity for digital credentialing processes lie in the area of workforce and human resource management. Regardless of the industry, the need for verifying a candidate’s or employee’s credentials, conducting background checks, or confirming academic history is required. And it depends heavily on the availability of system interoperability, extreme data security, and employee portability. In addition, many of today’s tech-based businesses demand more and more lifelong learning investment and ongoing professional development by employers to maintain job relevancy and effectiveness. The new age of nano degrees and microcredentials demands the ability to easily match and verify digital credentials earned by an employee, both for high-stakes and low-stakes credentials. Our technology is the first software service for processing and exchanging portable, tamper-proof digital credentials which include employment decision-making and verification. Our solution proves a digital credential’s authenticity, who issued it, and to whom it belongs and brings together a set of tools to serve individuals, issuers, identity providers, consumers and publishers of digital credentials. It’s not a digital credential unless it’s TrueCred®. We allow employers to issue, store, authorize, consume, verify and display high-stakes digital credentials by creating TrueCred®. We use digital cryptography to ensure that digital credentials are tamper-proof, and the skills and academic records you are verifying are authentic and dependable through TrueCred®. Our secure technology means employers can streamline screening and hiring transactions while providing peace-of-mind data cybersecurity. TrueCred® is standards based. Credential data will always be interoperable and portable.